Most men I know work really hard for the things they value in life. Having a good job, caring for significant others, and keeping in shape all take work and time. 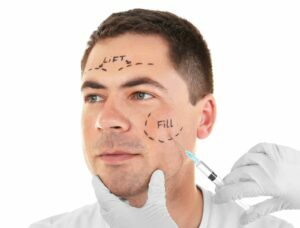 Men’s Plastic Surgery Procedures can help you attain what you want! It’s good to know that some very good, even life-altering things, can happen in a man’s life that don’t necessarily require a great deal of exertion. For example, any one of the following treatments can significantly change your life – hardest part is just making the call to one of our many locations in western Pa.
New youthful glow to your skin. Whiter smile that can land you a job. Did you know that there is a correlation between high self-esteem and a white, confident smile? Or that studies have shown that people who have whiter teeth look younger than people who don’t? Our whitening gel was developed by an ISO Certified Dental Laboratory for fast whitening and lasting results. Originally developed by a team of dental professionals, this is a simple 15 minute procedure without the dentist’s price! Our laser treatments, designed specifically for hair removal, can control hair problems. The procedure works by reducing the density and coarseness of hair and reducing growth in unwanted areas. Because hair grows in phases, several treatments are required until the majority of hair follicles are damaged or destroyed, making them incapable of producing hair. Your confidence will increase as our laser technicians work to improve your appearance. Our professional staff will remove that decision you made years ago. You don’t have to live with your unwanted tattoos anymore! Have you been living with enlarged male breasts? Many men are embarrassed by this condition, refusing to go shirtless – even at the beach. 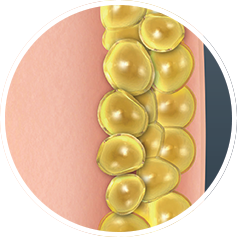 With modern advances in liposuction, the excess fat tissue can be removed safely. Following the procedure, the discomfort is easily treated with a simple analgesic such as Aspirin. Our doctors have seen the remarkable transformation of many happy patients. 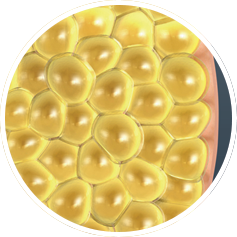 You’ve tried diet and exercise but can’t seem to get rid of unwanted fatty areas on your body. Or, perhaps you have lived for years with a double chin, or love handles that appeared out of no where when you hit 40. With modern liposuction, a procedure in which fat deposits are carefully suctioned out of the body, excessive fat deposits can be removed. This safe, cosmetic procedure can reshape those disproportionate or unsightly contours of the body. With an artistic eye and a careful attention to detail, our doctor will remove just the right amount of fat for pleasing results. If you’ve been living with problem areas on your skin such as deep wrinkles, acne scars, melasma, stretch marks, crow’s feet or blotchy areas, let us improve the look of your skin with treatments using our Fractional Laser. By delivering an array of high-precision micro beams, the laser treatment triggers a restorative natural healing process that creates healthy new tissue, including the creation of new collagen. You’ve worked hard and played hard outdoors, but all that time in the sun has had a damaging effect on your skin. Our skin treatments can remove the sun and age spots that may have begun to appear on your arms, face and even the top of your head (where hair has thinned). Using an Intense Pulsed Light (IPL) device, high intensity wavelengths reach deep within the skin’s layers to rejuvenate the skin. With minimal discomfort and short healing time, you can get the appearance you’ve been wanting in no time. Just call, and let us do the work! Reduce your wrinkles and frown lines while boosting your self-confidence with our quick, convenient and incredibly effective Botox treatment. Wrinkles and frown lines from age, sun damage, wind and contaminants that you think have to stay with you forever, can be eliminated with fillers! As you age, spider veins, age spots and broken capillaries begin to appear. We can get rid of your concerns with our fastest, safest treatment, Intense Pulse Light Therapy. Repairing an earlobe is a simple, nearly pain free, in office procedure. Dr. Giraldo, M.D., will begin by numbing the patient with a local anesthetic. 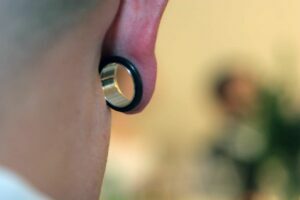 There are multiple techniques when repairing an earlobe depending on each individual’s case. Dr. Giraldo uses a scalpel to make a clean, smooth incision at a 90 degree right angle, or a zigzag shape trimming the excess skin if needed. The inside of the ear will be scored with the scalpel and sewn shut with stitches on the front and back. The patient’s ear will be bandaged following the surgery. If you’re thinking about liposuction you owe it to yourself to consider CoolSculpting. It’s a newer cold-based therapy designed to reduce unwanted pockets of fat in “problem areas” such as the abdomen, flanks, and thighs. It’s one of the most popular liposuction alternatives in use today, and for good reason—it’s entirely noninvasive. 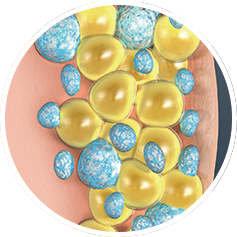 CoolSculpting is based on the concept of cryplipolysis. While this term may seem confusing it makes perfect sense when broken into its parts. “Cryo” refers to cold, “lipo” refers to fat, and “lysis” refers to targeted destruction. Put more simply, CoolSculpting takes advantage of the fact that fat cells don’t react well too extreme cold. 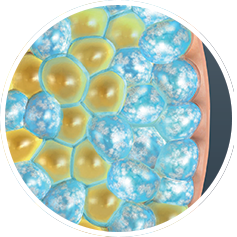 When used properly, it’s possible to kill fat cells by freezing them while leaving the surrounding tissue unharmed. As with liposuction, CoolSculpting is designed to reduce small pockets of diet and exercise resistant fat. It works best on shallow pockets of fat directly beneath the surface and can be used anywhere liposuction is effective. As such, it’s particularly good at treating smaller areas such as the neck, chin, and upper arms. The results are typically seen in the weeks following treatment, and aren’t as dramatic as those of liposuction. Conversely, CoolSculpting is completely noninvasive and shares almost none of the downsides of liposuction. There’s no incisions, no discomfort following treatment, and virtually no downtime. It’s also quite economical, and a typical treatment package is about 1/3 the cost of a comparable liposuction procedure. Work with your doctor to develop realistic expectations. Before committing to a procedure it’s critical to know exactly what it can (and can’t) accomplish. All surgery, even minimally invasive cosmetic procedures, have some risk involved. It’s critical that you’re aware of all of the risks and potential complications associated with your procedure beforehand. Cigarette smoke can interfere with the healing process. If you smoke, avoid tobacco use for the week before and after your appointment. Better yet, use this as an opportunity to quit for good. Don’t drink alcohol in the 3 days prior to your surgery. Alcohol is a potent blood thinner and can cause unnecessary bleeding during your procedure. Get as physically fit as possible before your surgery. Patients who are in good shape heal faster and experience fewer complications than those who aren’t. By the same token, if you’re having liposuction get as close as possible to your ideal weight before your surgery. Liposuction is meant to remove small pockets of diet and exercise resistant fat. It’s not a weight loss procedure and shouldn’t be used as such. Make sure that your surgeon is aware of all prescription and Over the Counter (OTC) drugs you’re currently taking. Some medications, particularly blood thinners, may need to be temporarily stopped in the days or weeks before your procedure.